Last day before term starts, the kids and I headed to Cruckley Farm. 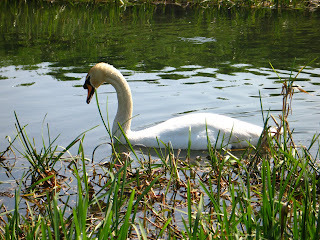 The weather had pleasantly changed from cold and autumnal into end-of-summer, warm and sunny. Cruckley farm is a working farm which can be visited and enjoyed by all ages. This farm has an interesting collection of rare breeds of sheep, cows and pigs as well as most farm animals you can list: goats, donkeys, shire horses, rabbits, geese, ducks, turkeys, peacocks, guineafowl and, of course, hens. The kids enjoyed the incubator and chick nursery today, where they were able to hold fluffy young chicks. A little group of runaway piglets made everyone laugh getting in and out of trouble around the farm and truly appearing to enjoy themselves in their adventures. 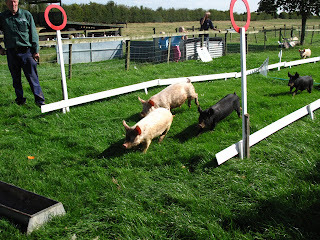 The highlight of the day was a pig race: at the sound of a bell, the little pigs trotted in their comic style towards a trough full of food and the end of a circuit. 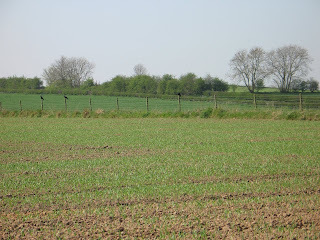 The farm is placed in gently rolling countryside, with Frodingham Beck at one end. It contains a variety of habitats: a lake surrounded by woodland, a pond and, a wetland area recently created in partnership with Natural England and the Yorkshire Wildlife Trust, which is already teeming with wildflowers and dragonflies (I wasn't so impressed by the goldfish though!). There are little wooded areas and plenty of hedgerows, mostly hawthorn. 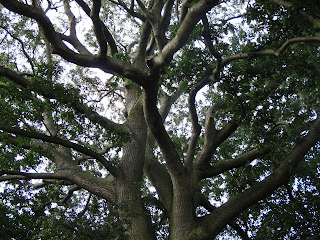 The picnic area next to the farmhouse is shaded by quite old trees, amongst them a large oak. The walk around the public footpaths is around 1.8 km long. 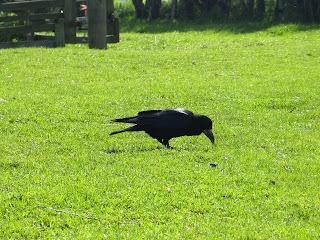 Birdwatching and bugwatching can be quite rewarding, in addition to your usual farm animals. 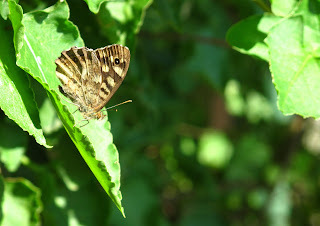 Today, there were many Speckled Wood and Small Tortoiseshells around the farm. Hawker dragonflies, hunted among the farmhouses, a plentiful supply of flies, and we spotted both Common Darters and Hawkers around the newly dug ponds in the wetland area, a few times chasing each other.